The atmosphere is tranquil and things are rosy at the Allianz Stadium in Turin. The Bianconeri are comfortably atop the Serie A table as Max Allegri‘s men are yet to taste defeat this season. The arrival in the summer of Cristiano Ronaldo has given a new edge to the team. They remain as defensively resolute as they have always been with new capitano, Giorgio Chiellini brilliantly marshalling the defence. However, the more things change, the more they remain the same. Juventus has been one of the most adept players in the transfer market for a while now. The Italian giants have developed a good habit of getting value by signing out-of-contract players on free transfers. While there is no official word yet, it is almost certain that Welsh international, Aaron Ramsey will join from Arsenal next season on a free transfer. Here is a look at some of the latest transfer stories involving the team. Juventus as a team is always on the lookout for cost-efficient ways of improving the team. This may explain why a possible swap deal with Real Madrid has raised considerable interest in the press. According to the Daily Mirror, Juve’s chief, Fabio Paratici has already made contacts with the agents of Spanish international, Isco to gauge his feelings about moving to Serie A. The Old Lady have been long-term admirers of the Real Madrid star who has been miserable at the Santiago Bernabeu since Santiago Solari became the coach. 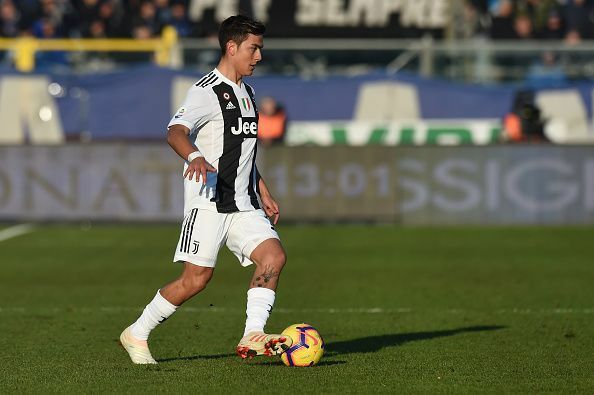 Real president, Florentino Perez is said to be okay with the deal going forward as long as it includes Argentine star, Paulo Dybala moving the other way to Spain. Like Isco, Dybala has also had a frustrating season as he has been moved to the right wing to accommodate the larger-than-life presence of Ronaldo. This has seen him score just twice in league matches so far. The Argentine is held in high esteem in Turin as he is seen as the club’s long-term star. However, it remains to be seen if this is a deal that could go through. Not content with getting Ronaldo in and the reported chase of Isco, La Vecchia Signora seem to have set their sights on another player from the reigning European champions. 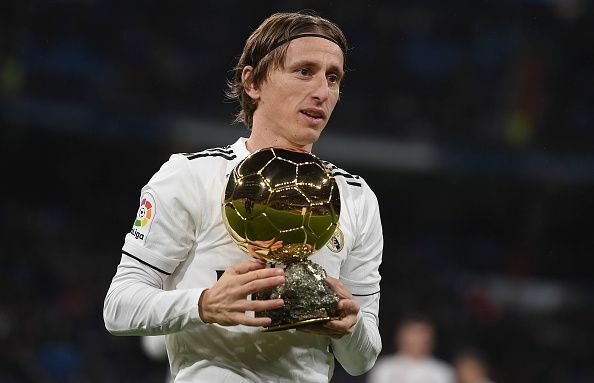 Reports have it that Allegri and the Juve board are mulling the signing of the current World Footballer of the Year, Croatian midfielder Luka Modric. According to Italian media outfit, Mediaset, the current Serie A champions want to rival Inter Milan for the signing of the Real Madrid star. Modric’s current contract expires in 2020 and it is almost certain that Los Blancos will not offer him a renewal due to his age (he would be 35 by then) and declining productivity. Juventus see in Modric, the chance to sign a world-class player on the cheap (something they have done brilliantly in the past). There is the feeling that added to Ronaldo, the Croatian’s knowledge of navigating the UEFA Champions League would aid the club’s all-consuming desire to win just its third UCL title. It remains to be seen if Real Madrid will be willing to do business and at what price. While it is almost certain that Ramsey will be joining up with the Bianconeri next summer, things may happen faster than expected. According to the Daily Express, Juve is looking to get the Welshman in this month instead of waiting for next season. This is a move that could hamper Arsenal’s already waning hopes of a top 4 spot in the Premier League. In order to get Unai Emery and the Gunners’ board to back the deal, Moroccan centre-back, Mehdi Benatia may be offered to the English side on a short-term loan. The Arsenal manager has already come out to say that the club will only pursue loan signings this month due to limited funds. 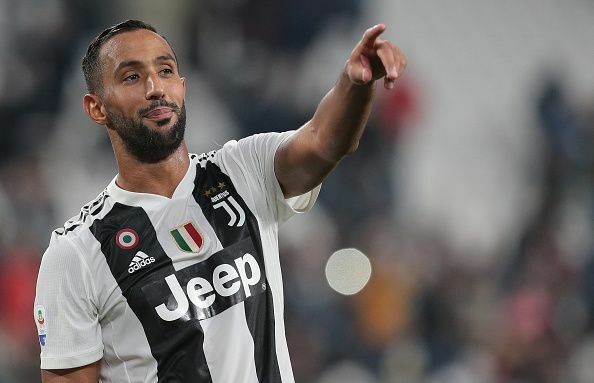 The thinking in Turin is that Arsenal would love the chance to get an experienced defender like Benatia to help fix the huge hole in central defence. The 31-year-old Moroccan international has played second fiddle to the Chiellini-Leonardo Bonucci partnership. He is said to also be eager for the move to get more playing time.